With his filter, a scenery somewhat becomes a portrait. "Anybody can see it. But he's the only one who can capture it." 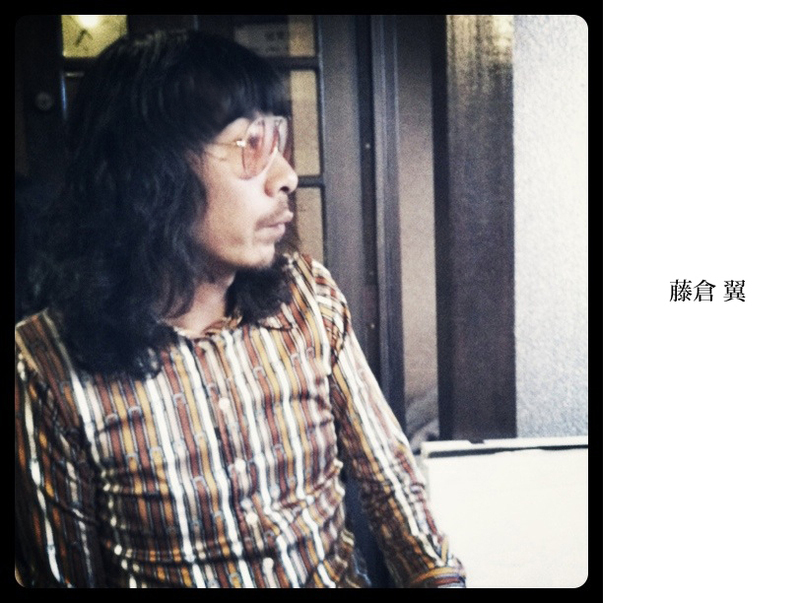 Tsubasa Fujikura, a Sapporo based photographer, labels himself like this, and how true this is. What he captures is not just what you see with your eyes, which is a plain scenery. He also captures -- this is where his talent comes in -- existence of human being behind the scenery. 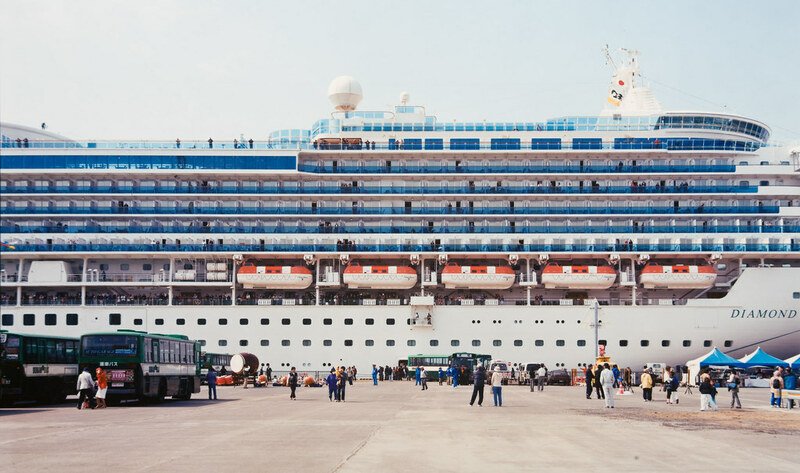 A work series, titled, "Multiple emotions, criss-crossing in a given space", Tsubasa frequently captures vast, expansive objects -- to name some, ski slope, beach, and mega-size cruise ship. Each image is beautifully captured and it is extremely impressive. But according to Tsubasa, there is more to it. "It is true that I like capturing expansive objects, but in fact, what I am capturing is people, spotted at each location. As the theme suggests, it's the grand sum of people's emotions." After coming across with the photographer's intension, each image has a different look now. What it used to be called a "landscape image" is now also defined as a "portrait of the mass". The image is now expressing organic -- humane matters. This "emerging perspective" is also reflected on Tsubasa's another series of work. 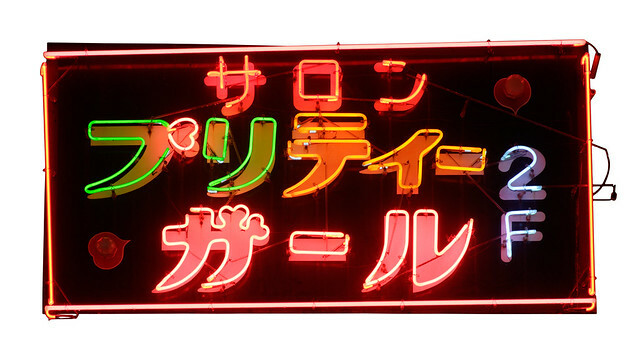 A series, "It actually is a neon-lighting" is capturing one of Japan's scenic symbols, neon-lighting. With his signature magic --"Anybody can see it. But he's the only one who can capture it." -- an ubiquitous neon lighting now emits new perspective -- humanity. 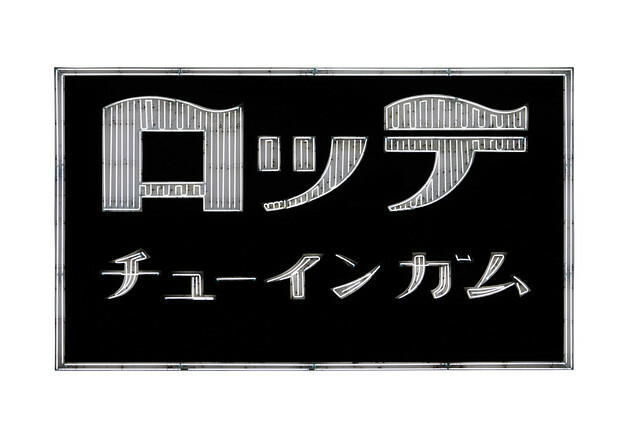 "The biggest finding through capturing a neon lighting was that each piece is hand-made -- just like a meticulously made craftwork. 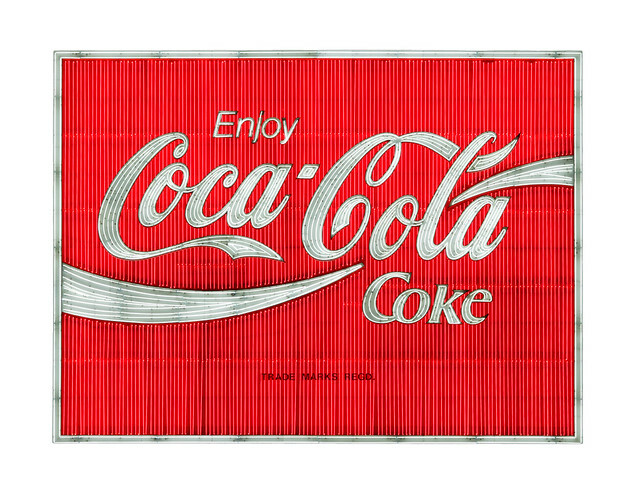 When each piece is observed carefully, one can understand that each light tube is also hand-made and the way tubes are connected to create each letter differs distinctively by each lighting. Through this observation and finding, each craftsman's taste and personality emerges." Tsubasa said. This trait is noticable on Ozeki piece. Ozeki is a Japanese sake brand and when this piece was captured from Tsubasa's eyes and hands -- one can come to realize the masterpiece of its detail -- as if it is a work of calligraphy. "I believe that this particular craftsman has some sort of knowledge on calligraphy." 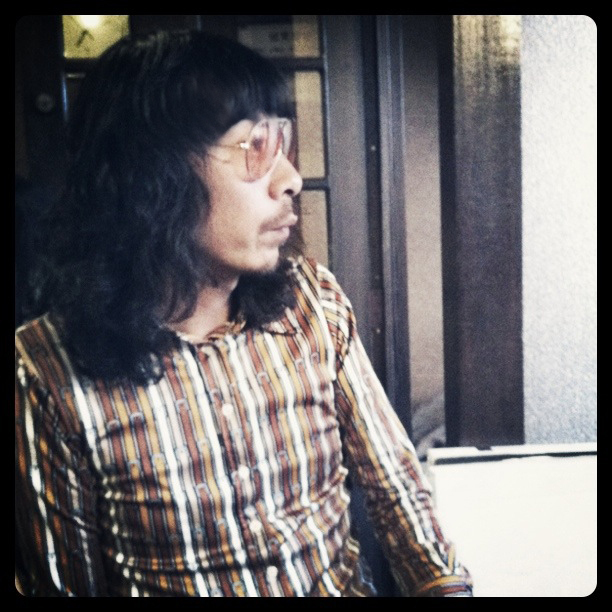 Tsubasa added. After all, no matter what he captures, Tsuasa's artistic works lead to humanity. "One of the philosophies that I have been raising on my photographic work is to capture humane feeling and a sense of human breath. I also value a sense of "indirectness" -- afterglow. When someone is to feel something its vividness is enhanced when interacted indirectly -- say, a scent of someone's perfume or warmth of a seat after she has left -- this invisible trait is more striking than actually interacting with the object. I value these senses. 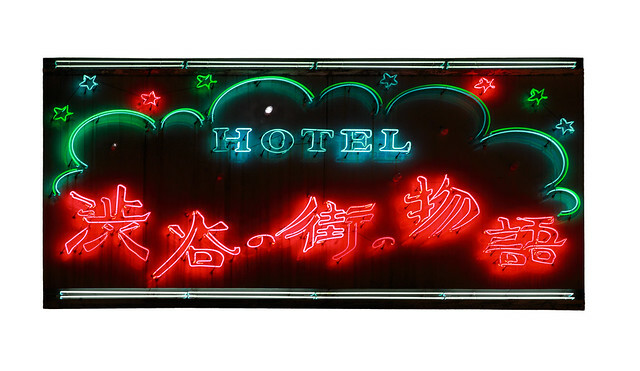 "I've traveled domestically to capture neon lightings from other cities. 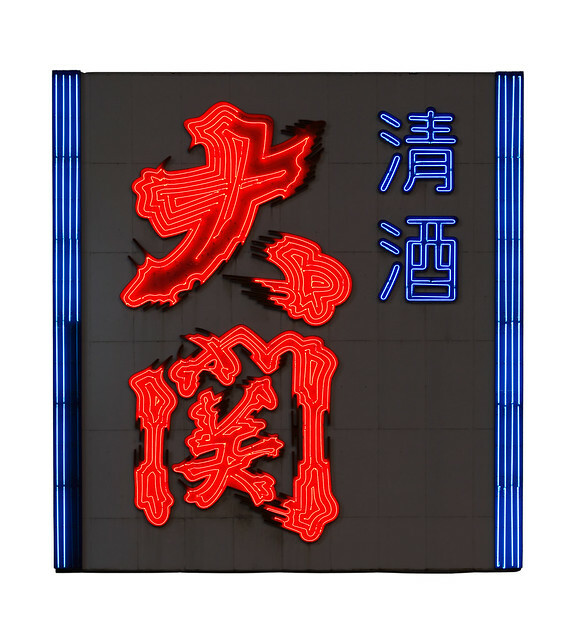 I'd love to travel to Hong Kong to extend my neon series. I'm extremely curious to find out how Hong Kong-made lighting are structured and what kind of humanity will it emerge through my photography. "